Treats cold and flu naturally. The ECO. 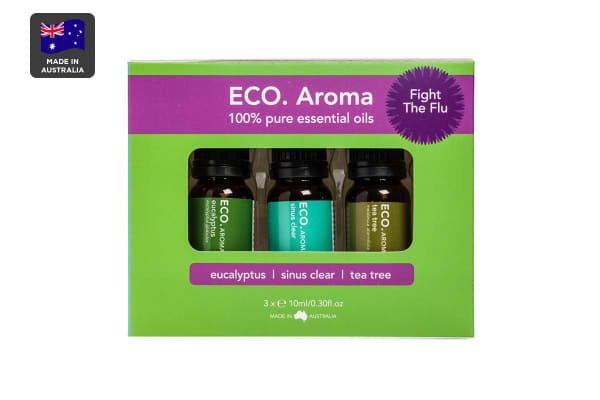 Aroma Fight the Flu Essential Oil Trio is pure and natural with number of benefits. Sinus Clear Essential Oil Blend is a clearing blend of lemongrass, lime, grapefruit and peppermint to treat the symptoms of hay fever, sinus, colds and flu. 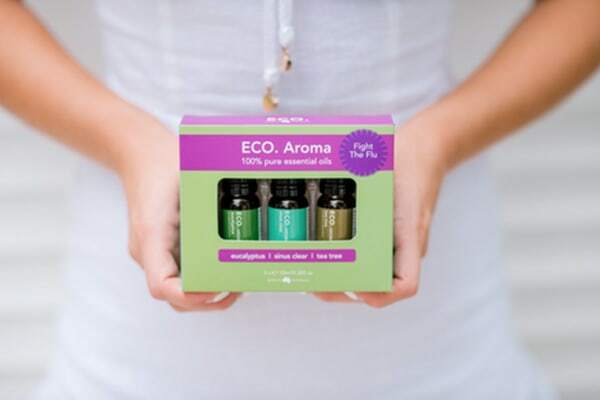 With its fresh and antiseptic scent, Tea Tree Essential Oil is wonderful for fighting infections and skin irritation.